Boston Public School students who walked out March 7 gathered on the Boston Commons. 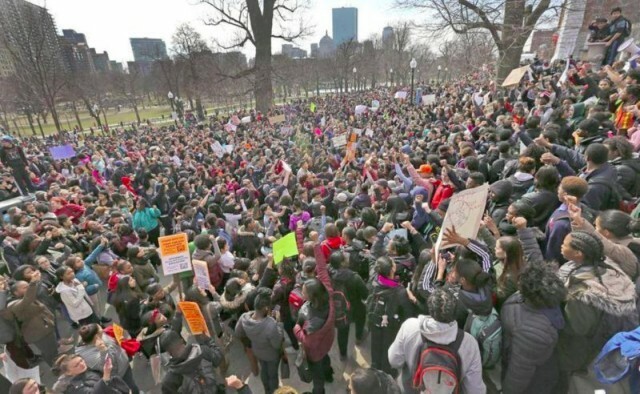 BOSTON–On March 7, thousands of Boston Public School students made history when they autonomously self-organized a “walkout” rally on Boston Commons and at the Massachusetts State House in protest against millions of dollars being cut to Boston Public Schools while General Electric receives corporate welfare in the form of tax breaks. The #BPS walkouts rallied at Boston Common where students gave electrifying speeches and chants of “Student Power” and “Save BPS.” The students came out and showed their unity as well as the diversity that is Boston Public Schools. Afterwards, the students rallied at the Massachusetts State house despite intimidation from Boston school officials, bureaucrats and police. 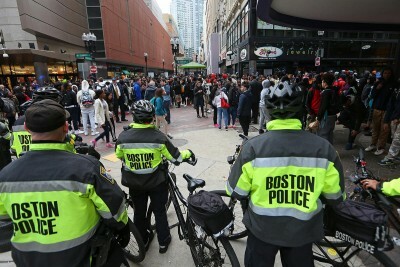 The Boston police reportedly arrested one student towards the end of the protest. As former Black Panther Huey P. Newton once said, “The revolution is always in the hands of the young, the young always inherit the revolution.” What the Boston Public School students demonstrated by displaying their militancy, consciousness, organization and unity is essential to any progressive and revolutionary movement. Budget cuts to the public school system are a symptom of a larger problem—capitalist-imperialism. As public schools and the public sector in general are de-unionized, privatized and penetrated by corporate “free market” deregulation, all the ills of a white-supremacist capitalist system become more egregious. Forty-two percent of children in areas of Boston live under the poverty level. According to the Brookings Institute, Boston ranks #1 in America for income inequality. In addition, it ranks seventh out of the top ten most segregated cities in the nation. Boston Public schools are facing further re-segregation amidst deep budget cuts, which disproportionately affect students of color and poor working-class students in general. As the capitalist-imperialist system continues to decay and decline, forcing breakneck privatization of public goods, draconian austerity measures, and the expansion of the police state, the youth are rising to seize the time by mobilizing and beginning to organize in opposition. It was clear that the students were aware of the severity of the budget cuts and the connections with charter schools and the corporate welfare for General Electric. Many donned stickers that read, “Cranes in the skies, cuts in our schools,” “Keep the cap” (referring to the cap on the expansion of charter schools), and “Millions for GE, budget cuts for our schools.” The budget cuts would severely affect students with special needs and disabilities and those seeking to engage in extracurricular activities. BPS Superintendent Tommy Chang favors charter schools. One cause of the $18.6 million budget deficit is the failure to fully reimburse Boston Public Schools for the funds that charter schools are siphoning from the state budget. The state of Massachusetts is supposed to reimburse BPS for the charter school costs, but it hasn’t even covered half the expenses in the last school year. 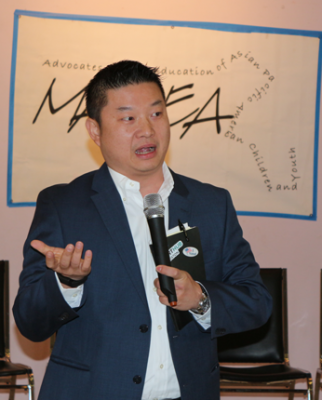 Superintendent of BPS Tommy Chang, who made his career in Los Angeles as a proponent of neoliberal measures and charterizating public schools, recently proposed cuts of $20 million from the central office budget and $10 million to $12 million from the per-student funding formula that affects budgets of individual schools—this in an effort to close a shortfall of up to $50 million. Mayor Marty Walsh and Governor Charlie Baker were unavailable for comment as they were at a “Forbes Under 30” event at Faneuil Hall, where some students marched only to find that they were no longer on the scene. Although the capitalist system is inherently unstable and the #BPSbudgetcuts are reflective of this, we can count on the radical energy and rising consciousness of the younger generations to combat this system. Students spoke later in the day at the English High School about linking the budget cuts to white supremacy, mass incarceration and gentrification. These are all phenomena of the latest stage of capitalism trying to squeeze as much as it can from the working class, primarily people of color. 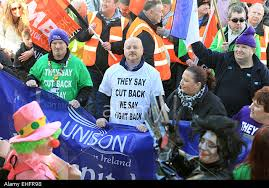 Thousands have protested in Ireland around many issues, including water charges. The school committee has a March 23 deadline to vote on the budget cuts. Even if it votes them down, the struggle will need to continue as that is not a guarantee that the $140 million lost over the past three years will be restored, that Boston Public Schools will be fully funded, or that the neoliberal austerity measures will stop. As many students chanted “They say cut back, we say fight back!” and “I believe that we will win,” they shone a ray of light for the struggle forward. If students, parents, teachers, the teachers union and other allies of the working class and poor can unite and organize autonomously as the students did, that collective power can become an unstoppable force for saving BPS and putting the brakes on privatization. 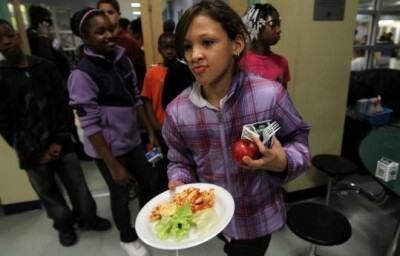 This entry was posted in Uncategorized and tagged BPS, BPSbudgetcuts. Bookmark the permalink. If you want to be published on VOD, please submit your articles, etc. to diane_bukowski@hotmail.com. Call 313-825-6126 to alert us. VOD's previous Go Fund Me donation button is not functional anymore. But put "Donate to VOD" in the search engine and, a post will come up with the link to our Go Fund Me page, which is still working. Thank you for your support! TRUMP SAID HE WOULDN’T CUT MEDICAID, SOCIAL SECURITY, AND MEDICARE. HIS 2020 BUDGET CUTS ALL 3. CHARLES LEWIS CHALLENGES CERTIFICATION OF LOST COURT FILE ‘FACSIMILE;’ HEARING FRI. MARCH 8 @10 A.M.
CHARLES K.K. LEWIS BACK IN COURT FRI. FEB. 15 @ 10:30 AM; WILL JUDGE CERTIFY GROSSLY INCOMPLETE FILE? HOUSE WITH OLD HOMICIDE EVIDENCE BELONGED TO RETIRED DPD DETECTIVE OLIE MCMILLIAN, JR.